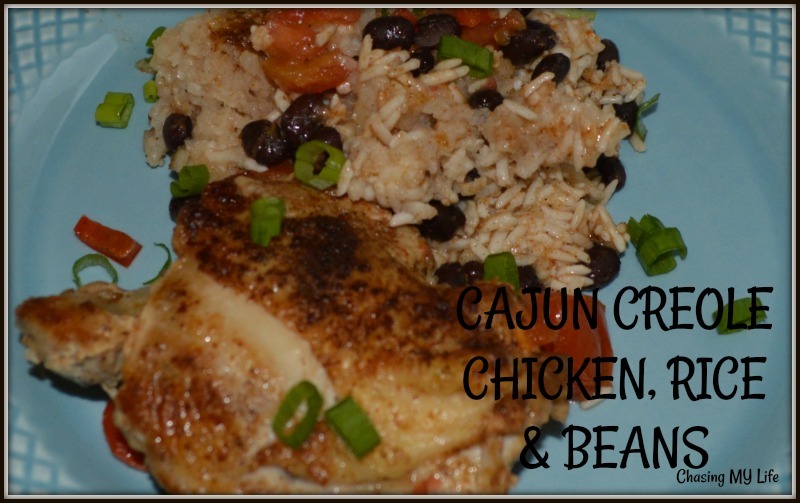 Cajun seasoning adds the unique flavor to this meals and provides you with just enough spiciness and bite to make your taste buds stand up and pay attention. In a 6 quart slow cooker combine the beans, rice, tomatoes, red pepper, shallot, garlic, parsley, broth and 1 1/2 teaspoons SLAP YA MAMA seasoning until well combined. Sprinkle the chicken thighs with the 2 tablespoons SLAP YA MAMA. Heat avocado oil in a large skillet (preferably cast iron). Brown chicken pieces on both sides until golden, about 5 minutes per side. Place in slow cooker, skin side up. Cover and cook on low 4-5 hours until chicken is cooked through. Rice will be saucy! **The original recipe calls for a traditional red bean, but I personally HATE red beans and always substitute black beans.